go back to networking WITH OTHER PEOPLE. It’s finding three people you enjoy talking to and inviting them to coffee. That’s how you get to know them. That’s how you’ll develop trust. The 55-year-old woman who loves your art. The single mom who saved for six months to get a portrait of herself and her toddler. The 11-year-old boy who’s still talking about his Star Wars Jedi Knight Training Balloon Birthday Party. And they pre-qualify the people you’re talking to. People will not make the leap from a general description to their specific situation. But they will make the leap from a different specific situation to their own. I’m not suggesting that you change how many products you offer. I’m suggesting you talk differently about your products to start conversations that will lead to more sales. There are two kinds of Elevator Pitches. There’s the kind when you stand up and introduce yourself to a room full of people. To introduce yourself to many people, use the 30-Second Elevator Pitch. 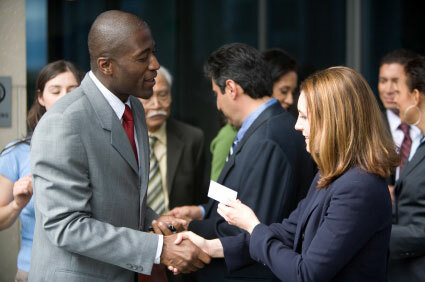 When someone shakes your hand and asks “What do you do,” answer with 7-10 words that get them to respond. Once again: answer with 7-10 words that get them to respond. Once they respond, you are in a conversation. Remember that the goal of the Elevator Pitch is to start conversations. What other mistakes have you seen people make while networking?